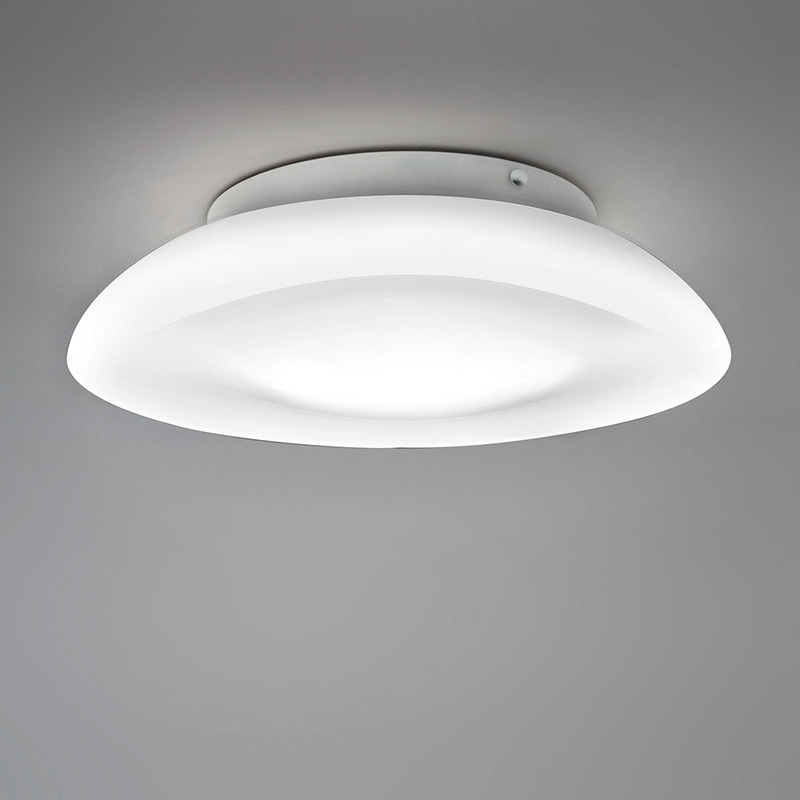 Ceiling or wall mounted circular diffuser in white opaline hand-blown glass. Mounting plate white powder-coated steel with steel fasteners which mounts to standard junction boxes centered on luminaire. Diffused lighting. 2 sizes: 15 is ADA. -Diffuser in white opaline handblown glass. -Mounting plate in white powder coated steel with steel fasteners.